The Congress leaders and workers took out a march under the banner 'Mandovi Bachao Abhiyaan' from its state headquarters here to the offices of offshore casino operations a short distance away. 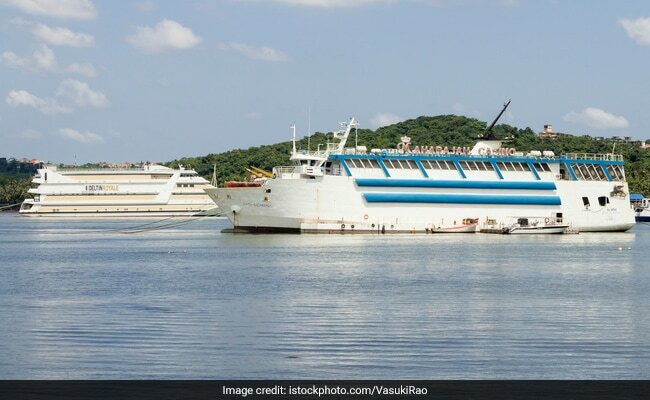 Goa Congress leaders and its Seva Dal's volunteers on Tuesday offered roses to casino officials on Gandhi Jayanti and demanded that offshore casino vessels be moved out of the Mandovi river, off Panaji, to deep sea. On reaching the casino offices, Congress leaders offered roses to casino officials, while pleading with them to move their operations to deep sea. "The Congress is a peaceful party and we have come here (to offshore casino offices) in peace and handed them our representation as well as a rose... we are confident that if we agitate peacefully, casinos will move to deep sea," All India Congress Committee incharge of Seva Dal Rakesh Shetty told reporters here. State Congress leader Shankar Kirlapalkar said: "The state government had said that after elections, the casinos will be moved out. We demand that (casino) boats/ships should be moved back to the sea. We have started the movement on Gandhi Jayanti and it will continue until the ships move out," state Congress leader Shankar Kirlapalkar said. Goa has five offshore casinos while more than half a dozen are located in five-star resorts in the coastal regions. While a majority of the casinos were given licences during successive Congress regimes through the 2000s, then opposition BJP had vowed to put an end to the casino industry in Goa. However, after coming to power in 2012, the ruling BJP-led alliance has been accused by the Congress of cozying up to casino operators.